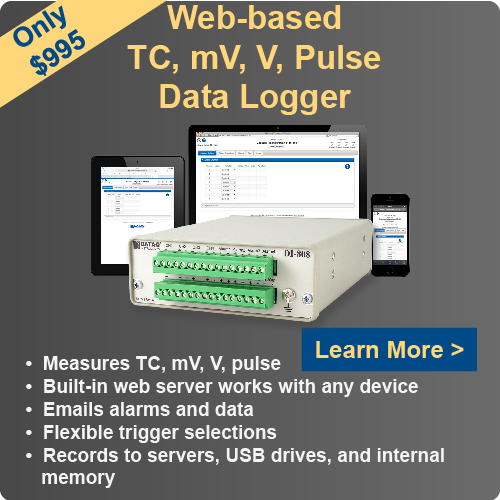 In the last few months, a number of customers have reported that their DI-720/730 Ethernet instruments were no longer appearing in the DATAQ Instruments IP Manager. In fact, nothing appears at all, not even a Synced or Un-Synced group. 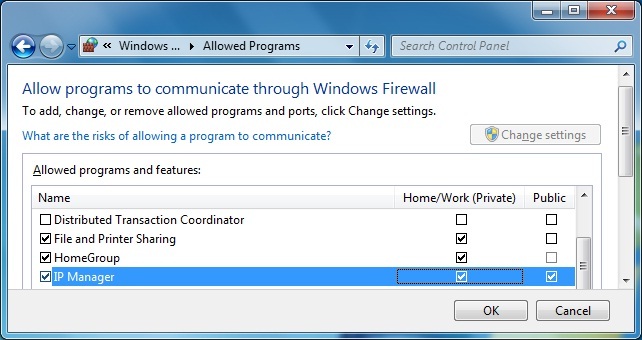 Following some investigation here at DATAQ, it became apparent that a Windows Firewall setting was the culprit; more specifically, the setting that allows communication via a home and/or public network. The problem is, depending on how the DI-720/730 Ethernet instrument is connected during the initial WinDaq installation, the DATAQ IP Manager is added as an exception to the Windows Firewall on either a ‘Home/Work’ OR ‘Public’ network. As a result, if you subsequently connect the DI-720/730 Ethernet device via the network type that was not chosen during the initial installation, nothing will appear in the DATAQ IP Manager. Fortunately, the fix is relatively painless. You’ll simply need to add the DATAQ Instruments IP Manager as an exception for the other network type, as well. You’ll now be able to run WinDaq with your DI-720/730 Ethernet unit connected directly to the PC or via a network.